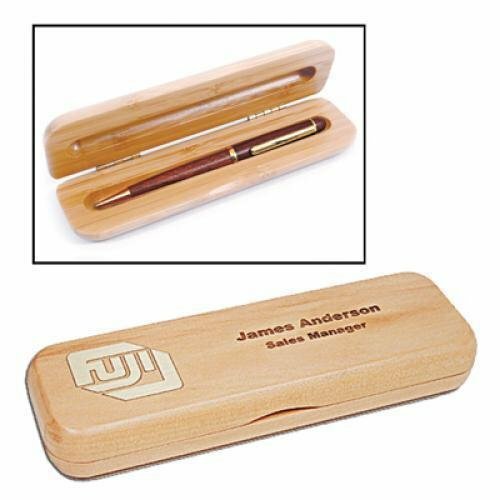 The classic, simple design of this Maple Pen Box features smooth, rounded corners and a clear finish. The large engraving area gives ample space for logos and text. A flip-open top reveals two spaces for special pens. 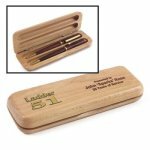 Together with engraved wood pens, this box is a great way to make a lasting impression. Pens sold separately. 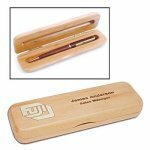 Maple - 6-3/4" x 2-1/8" x 7/8"
The classic, simple design of this Maple Pen Box features smooth, rounded corners and a clear finish. The large engraving area gives ample space for logos and text. A flip-open top reveals a special pen. 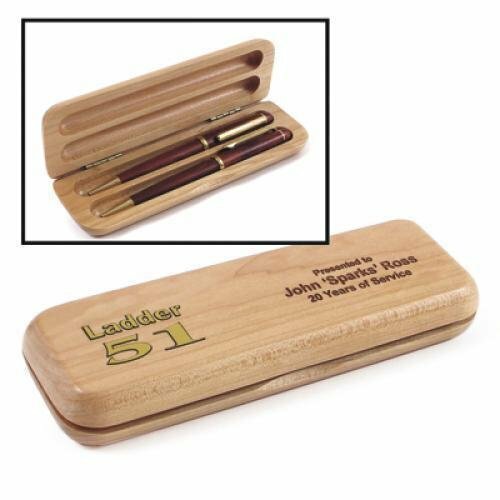 Together with an engraved wood pen, this box is a great way to make a lasting impression. Maple - 6-3/4" x 2" x 7/8"